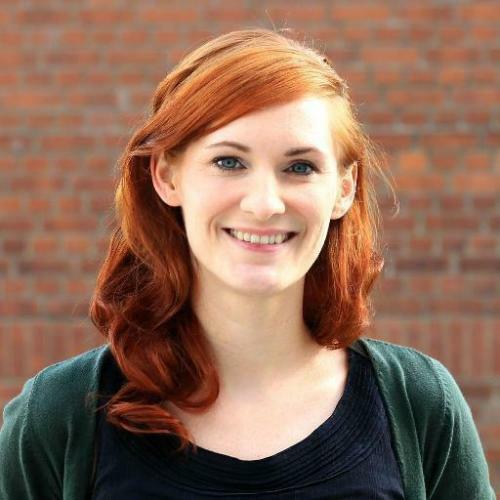 The project “Refugees go digital” is a series of workshops that addresses young refugees in so-called 'International Preparation Classes' in Hamburg/Germany - This story is written by Theresa Grotendorst, App Camps Germany. 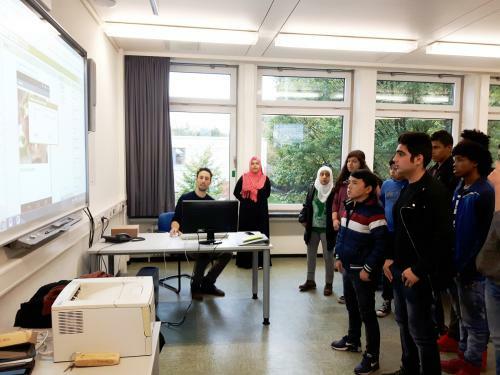 Many young refugees in Germany are taught in so-called 'International preparation classes', where students of all ages learn the German language and other topics that are relevant in the process of integration. However, programming and other digital skills are not part of curriculum. 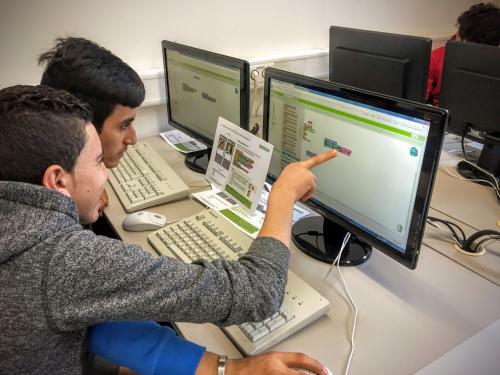 As a consequence, young refugees coming to Germany have no access to learning digital skills. 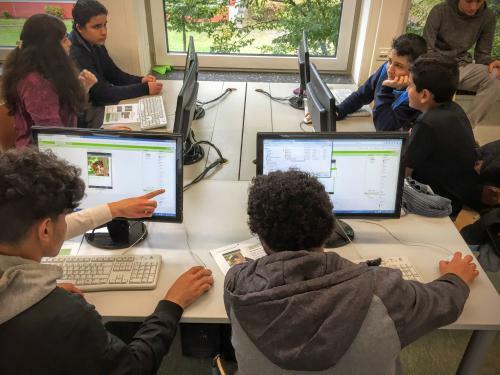 That's why App Camps, a German non-profit that uses MIT App Inventor to teach coding in schools, started a series of workshops for young refugees. 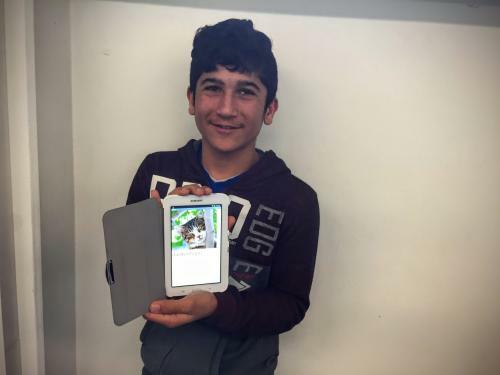 The project “Refugees Go Digital” is supported by the Adobe Employee Community Fund. We believe that young refugees especially would benefit significantly if they learn basic coding skills. Having a basic understanding of the digital world and its opportunities is a significant advantage and will be a crucial skill in almost any job in the future. To kick-off this workshop series, we organized a workshop at a high school in Hamburg. 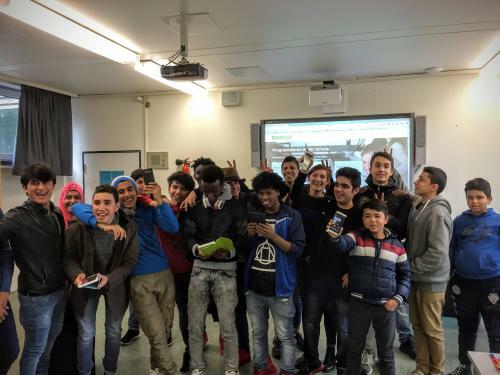 Our team showed a group of 32 refugees aged 14 years and older how to develop apps using MIT App Inventor. The language barrier seemed to be a challenge at first, but in the end everyone had a lot of fun. In the morning the goal was to introduce them to MIT App Inventor. We also showed them basic concepts of programming (e.g. lists, variables or if-then-else). The students came from different countries, such as Syria, Afghanistan or Egypt. Some already spoke some German, others hardly understood German. Same with computer skills: Some were quite fast and worked independently, while others needed more help. However, what initially seemed to be a great challenge with regards to language barriers and computer skills, turned out to be no problem in the end. Despite the presence of language barriers, the group became familiar with MIT App Inventor quickly. 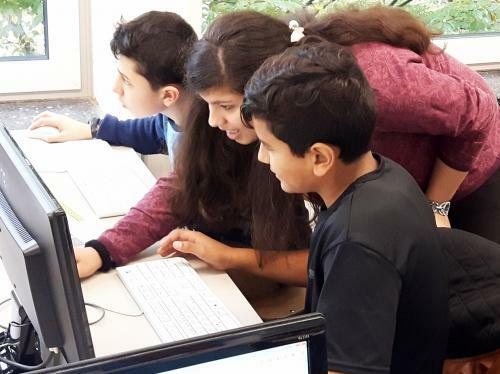 Since MIT App Inventor is a great visual programming tool, it also allowed students with little knowledge in German or English, to easily grasp the concept of coding and to experience simple and fast success stories. We used the teaching resources that teachers can access on the App Camps online platform. The course on app development works great in heterogeneous groups. So every team was able to learn and program at their own pace. Since the learning materials are also presented in text form as well as visually, language barriers were overcome easily. Therefore students with little knowledge of the language quickly had their first apps and their own successes. It was a pleasure to see how students assisted other students or helped to translate certain terms - since programming also means teamwork! Just before the lunch break the teenagers were able to test their first self-built apps on the smartphone or tablet. A steep learning curve - lots of learning and much laughter! Self-confidence - The fast-paced programming environment also provided a lot of fun for students with little language skills. They quickly experienced success and became self-confident. Language skills - Language skills also improved - in the end, all refugees had learned new German as well as English terms! While in the early morning, some students were still struggling to type a URL into the browser window (http: //...), in the afternoon they presented their self-developed app - what a success story!